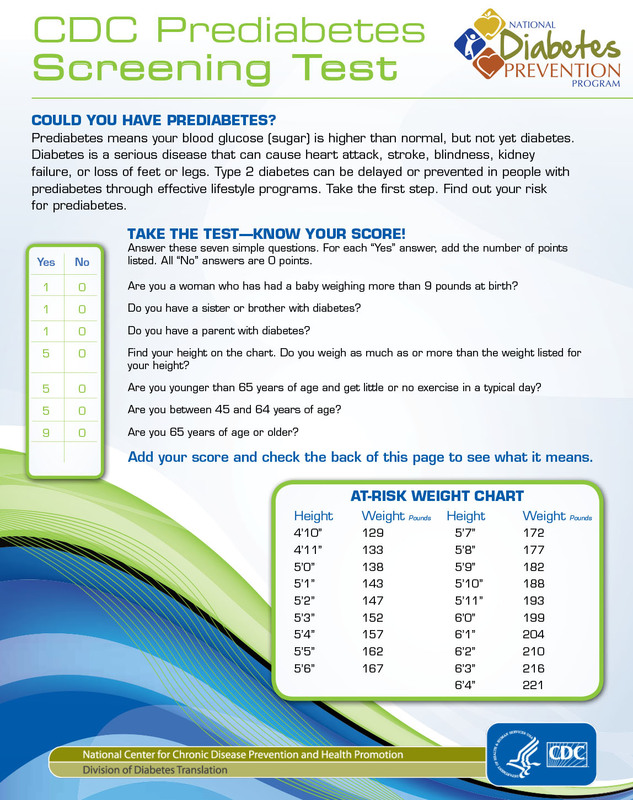 Are you at risk for becoming diabetic? 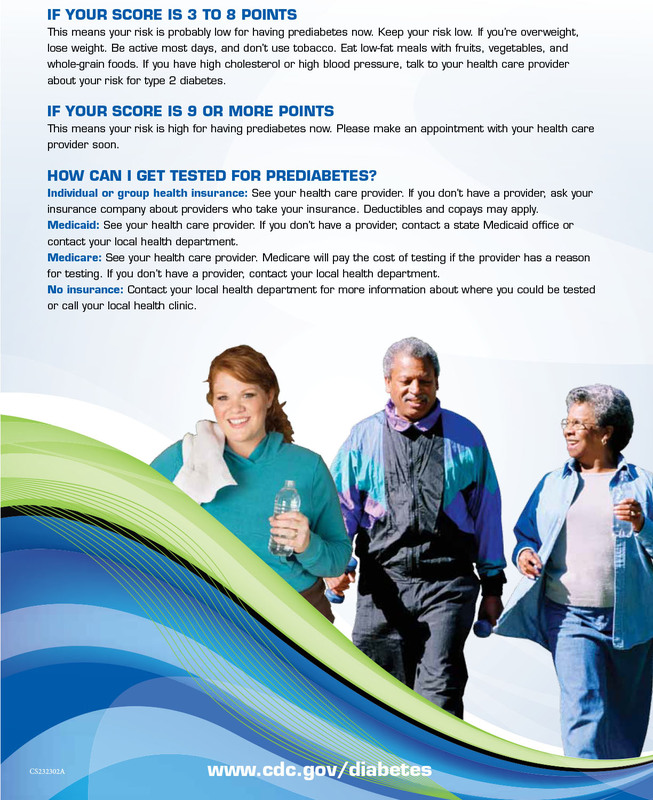 Have you been diagnosed with prediabetes? Our Health Educators are here to help. Certified in classes to help you live healthier and prevent the onset of diabetes. Take this quick test to see where you score. This could be the beginning of a healthier life.